If you were a pirate who wanted to discuss business where would you go? To the Tavern, of course! There is no better place to meet people from all walks of life and profession than the local tavern. 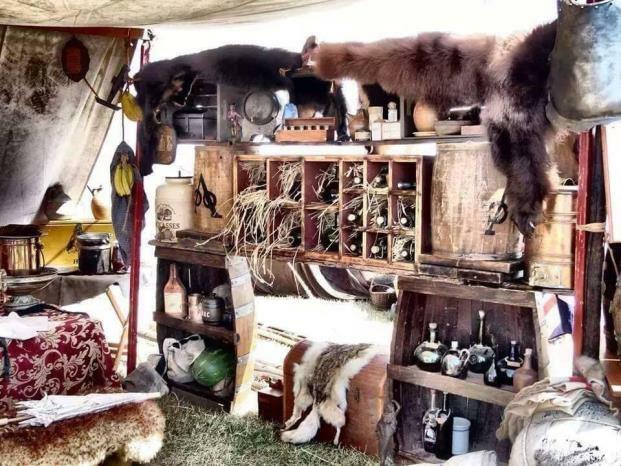 Come dressed in your finest garb, wearing your most fashionable tricorn, gold and silver jewelry prominently displayed and discussing trade, business, and imbibe on Briggins Brew and Rum. Corey invites period correct dressed guests to sit at the large center table under the canvas awning. Many more trade goods can be found in this area.